What Should Breeding Cockatiels Eat? Many of the problems that people encounter when it comes to breeding cockatiels are, not surprisingly, based on nutrition. Before a chick can hatch from an egg, the egg has to contain enough fats, protein, carbohydrates, vitamins, and minerals to make the chick. As the chick grows, eventually becoming independent of its parents, the chick will demand even greater amounts of these nutrients. Now if the parents are fed a diet of only seed and water, it will be extremely difficult for them to raise a brood. If you look at their usual fare of a seed based diet, you will see that this diet is deficient in several essential items, including amino acid lysine, vitamins A, D, B-two, and B-twelve, as well as minerals like calcium and sodium. Nevertheless, despite these inadequacies, it is a common experience that certain pairs and especially older birds will sometimes lay eggs and raise their chicks on this simple seed fare. This is a miracle in most cases that these breeding cockatiels do what they do, and they manage because although the diet is poor, the needs of a non-breeding cockatiel unless it is molting or suffering from a disease are even more frugal. Thus, before breeding, they can lay down some of their body reserves with a certain amount of these essential dietary factors in anticipation. 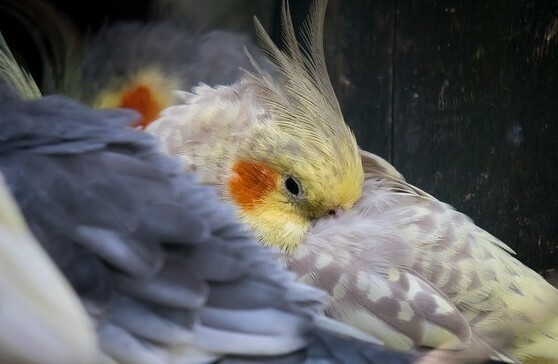 Nevertheless, it does tax these breeding cockatiels enormously to raise a clutch, as the rate of withdrawal from their bodies of the substances that are deficient in the seed can so easily exceed their availability. 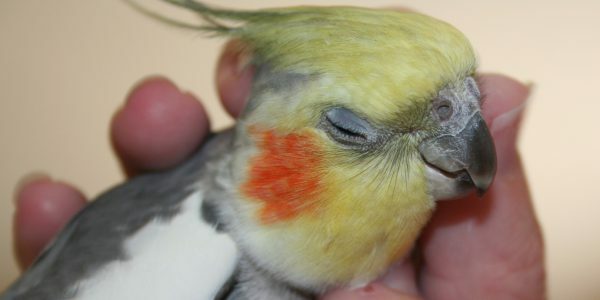 The body’s stored reserves may become so depleted that the parent cockatiel is unable to withdraw further amounts except by drawing on its own body tissues and thus damage itself. Protein and many of the minerals cannon be stored except as function parts of the body and a loss in these results in the wasting away, debilitation, inability to molt correctly and the resistance to disease processes are greatly reduced. The parents can become very lackadaisical about their brood and the frequently stop all reproductive behavior as they become listless. The loss to the parents of these substances results because every time that they regurgitate food from their crops to feed the chicks, it is sticky with saliva and digestive secretions. These substances are, compared with the grains of seed, proportionately rich in protein, minerals, and vitamins. This is why green food, water soluble vitamins and mineral supplements, and best of all bread dipped in milk ought to be given to all pairs of breeding cockatiels, together with cuttlebone to replace the constant leaching of the body supplies. Here are some products that are available online specially designed for breeding cockatiels. Click on the picture if you would like to find out more.